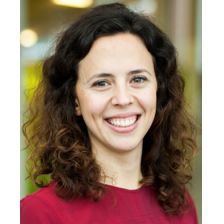 Merve brings both a research oriented and pragmatic, focused approach to projects, currently pursuing a PhD in sustainable energy at Amsterdam Business School. There she helps realize innovative projects that demonstrate the power that ICT technologies have to shape a sustainable vision for the energy sector. She is also working to create business models that will allow energy businesses to harness data to maximize the deployment of renewables. She holds an MSc in industrial ecology from the Technical University of Delft (TUD). Merve is a systems thinker with over four years of sustainability advisory experience, tackling complex topics like the global energy system, supply chains and consumer electronics. Throughout her work, she enjoys bringing together analytical approaches of industrial ecology, data science with business thinking to generate inspiring solutions that tackle real societal issues.